Hello everyone! 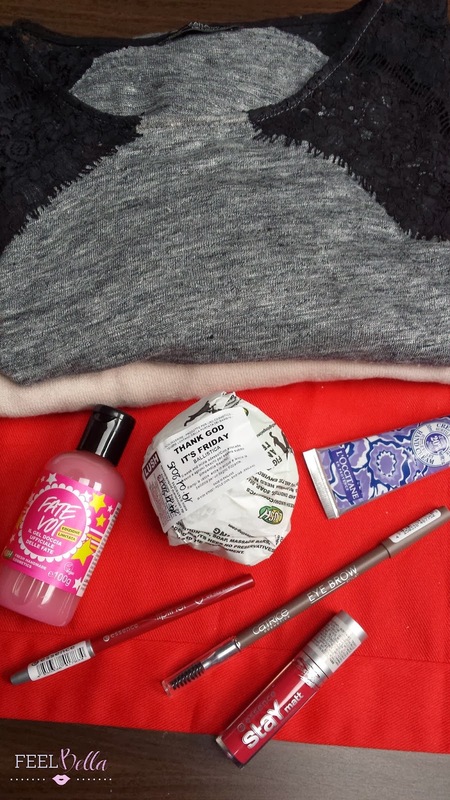 Today's post is a little haul with some things I picked the last weekend. The exiting thing is I've made pretty good deals, almost everything was on sale and this always make me happy! Let's take a look! I got these two sweaters in the sales, both from Zara. I picked this bath bomb from Lush called "Thank God it's Friday" cause I wanted something with a fresh scent. This is made with avocado, olive oil and lemon grass. It definitely has a very fresh and citrus smell but is lovely and pleasant. I also bought this mini bottle of the famous Snow Fairy shower gel. This is limited edition from the Christmas collection but they still have in stock with a 50% off so I needed to take a bottle. This size is perfect for travelling. I had to stop at the L'Occitane store as they have the hand creams at 5 euros! I chose the one with Violets. Love the scent, sweet but not strong, subtle violet scent. I've made some drugstore shopping as well. 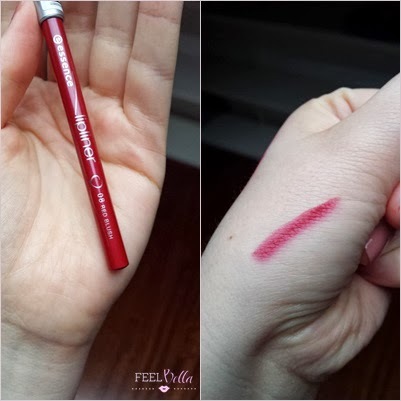 I picked this Lip liner since I needed one in a cherry red colour and I decided to give this Essence one a try. 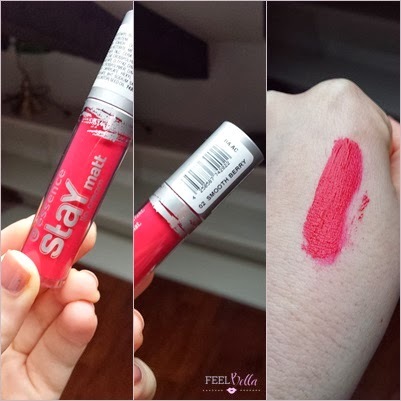 It is very creamy and the colour is really beautiful. It is the number 08 Red Blush. I also decided to try from Essence their Matt Lip Creams, called Stay Matt. This is the colour 02 Smooth Berry and is a creamy and extremely pigmented raspberry red. I also bought this Catrice Eye Brow because I was really curious to try since I heard good reviews about this. I really like the brush that comes with. The colour is also great, ash light brown called Date with Ash-ton. 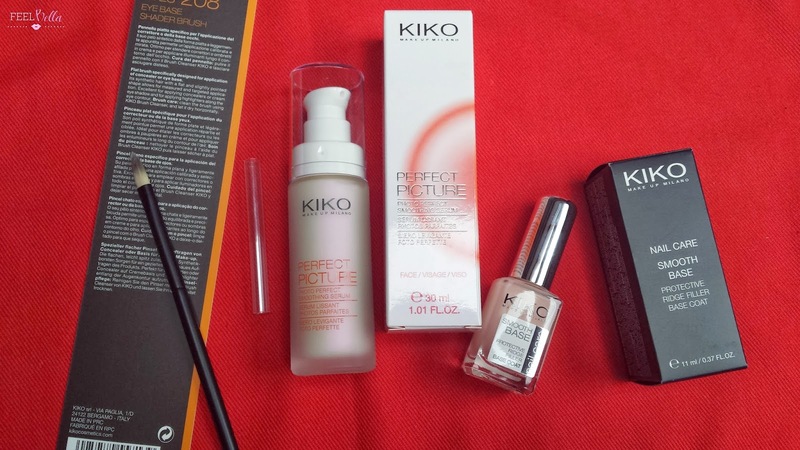 Last I visited the Kiko Make Up Milano store since they have some interesting products on sale like this serum witch caught my attention instantly. 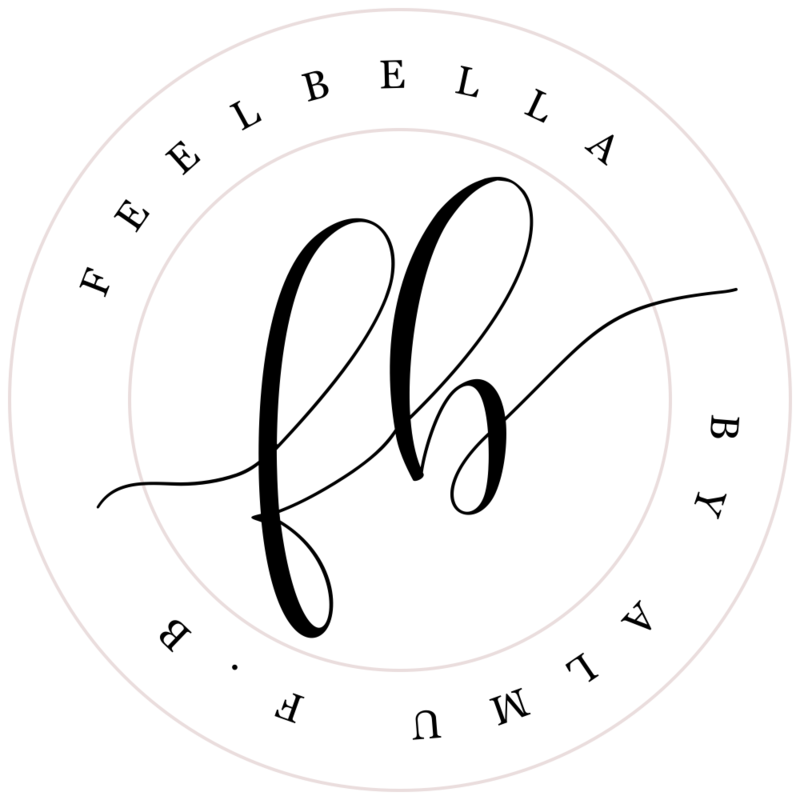 It is called Perfect Picture and is a limited edition serum that promise a skin immediately smooth and flawless delivering an intense energy boost for an instantly perfect photo finish. I can not wait to try this out. It was 4 euros only! I also picked the brush number 208 for eyes from their new range of brushes. It is very soft and I think this would be perfect for concealer. I'm not a big fan of their brushes but this was 4 euros as well and I just couldn't leave it there! Last I bought this nails protective and ridge filler base coat as I needed a new base coat and I read good review about this. That's all for this little haul. 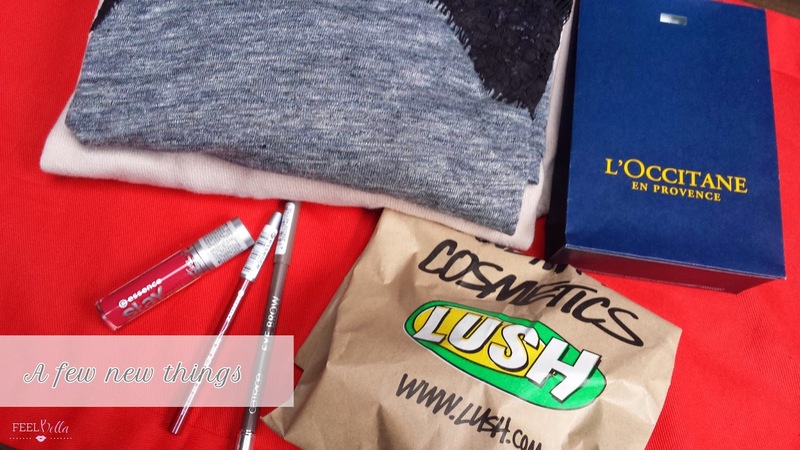 6 comments on "A LITTLE HAUL"
Lovely haul! Those sweaters look cute, and I love Snow Fairy :) I thought it was way to candy sweet at first but it really grew on me over time! Nice haul! I love L'Occitane's hand crèmes!